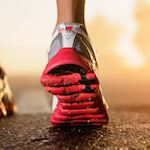 Okay, so we all know that runners are a little superstitious when it comes to their pre-race itineraries. A runner doesn't like deviating from his routine much and when he does and then has a race that doesn't quite go as planned, he just knows it was because he strayed from the plan and wore the gray underwear instead of the tried and true green that's worked for him the last seven races. On the contrary, sometimes two events happen with such synonymy that there is no disputing that the PR was a direct result of a slight alteration of pre-race activities. Example: I had a breadstick at Olive Garden the night before. I had a stellar performance at the race. I must now forever eat Olive Garden breadsticks as part of my pre-race routine. Yeah, something like that. Because, after all, only the buttery goodness of a garlic embossed carbohydrate power stick could be responsible for such a stellar performance. Garlic. Hmm, maybe it was the garlic. No matter, breadsticks it is! But, I digress. We've gathered some of the funniest, most outlandish, and yes, slightly ridiculous runner pre-race rituals for your enjoyment. So, the next time you're standing in the start corral of a big race, look around and know that you are probably not the only one with garlic breath and green underwear. 1. "I put my right sock on first and then my right shoe before I put on the left. If everything is on properly on the right side, then I know I am going to have a good day." Ethan Z. 4. 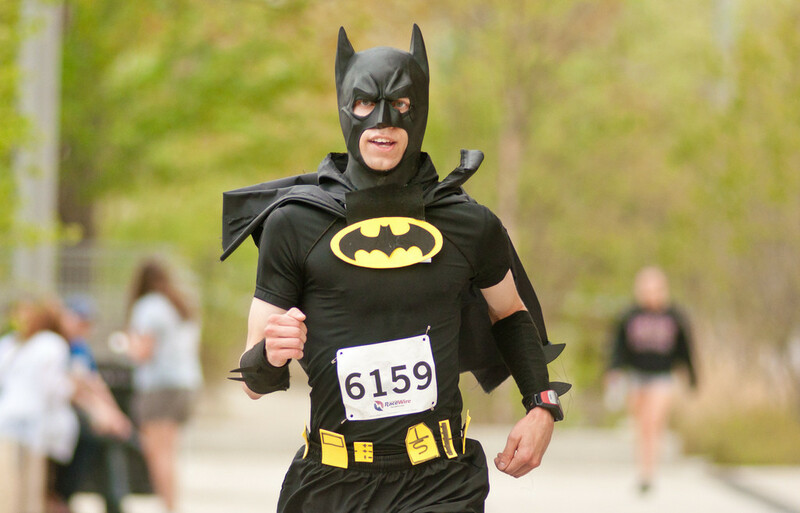 "My biggest running superstition is a Batman cape, believe it or not. I run every race with a Batman cape on. 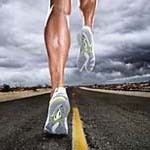 At this point, I'm afraid to run without it, even though I think I could do better without that added distraction." Matthew J. 5. "Always double-knot shoes for a race (because duh), but NEVER double-knot them for training runs. That way when you do double-knot, the shoes know it's a race." M.J.
7. "I never eat the last bite of my pre-race Clif Bar. I've no idea where, why or how this got started..." Ivana T.
8. "I've got a pair of bright green socks and a pair of bright orange ones. During warmups I'll wear an orange on my left foot and a green one on my right foot. Before races I'll take them off and put the unworn ones on, but this time green goes on left and orange goes on right." D.G. 11. 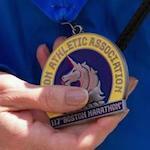 "I sprinkle glitter in my hair and I cry as I pass the starting line. Every time. At first I was embarrassed but now it's just one of those things I gotta do." C.G.